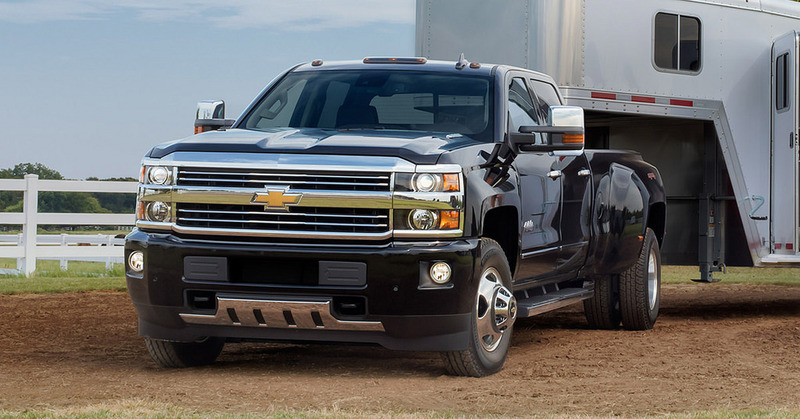 The Chevy Silverado is the best-selling vehicle for GM in general, which means Chevrolet’s engineers invest extra time and effort into ensuring the newest edition will impress drivers. There are a few things you can expect to find on the 2019 Chevrolet Silverado, including bolder styling, a lighter design, more cargo space, and a few powertrain options to save you money at the pump. 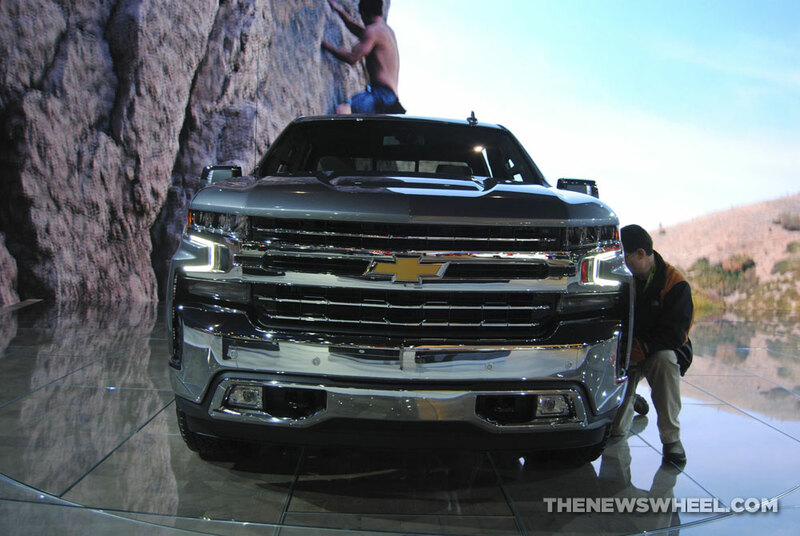 According to the NY Daily News, the 2019 Silverado design will get an added 3.9 inches on the wheelbase, as well as an additional 1.6 inches on the overall length. This transformation helps provide more space on the interior, including an added 3 inches of legroom on the Crew Cab. You’ll also find storage trays under the seats to improve cargo room. Other major changes include a 450-pound weight reduction thanks to added aluminum; however, the bed is still made from rolled steel, so you don’t have to worry about durability. Under the hood is an all-new Duramax® Turbo-Diesel engine, and a dynamic fuel management system lets you save fuel by deactivating cylinders when you’re idling. For those looking for a little extra kick when it comes to performance, check out the Silverado RST, an entirely new trim for 2019. This comes with 22-inch wheels, a monochromatic exterior, and highly advanced performance technologies. Here at Wilson GM in Stillwater, OK, we are eagerly counting down the days until the latest Chevy Silverado model arrives on our dealership lot. The top two best-selling vehicles in the U.S. are the Ford F-150 and the Chevrolet Silverado. Both of these pickups are reliable, tough, and powerful vehicles designed to provide a smooth, comfortable driving experience without sacrificing capability or performance. However, you might be wondering which option to buy. By comparing Chevrolet Silverado features and options to those of the Ford F-150, you can make the best choice to fit your needs. Both the Chevy Silverado and the Ford F-150 come in around the same price point. However, when it comes to add-ons and available features, the Ford F-150 only offers its more luxurious features at high-end prices, whereas the Silverado gives buyers plenty of great value at lower trims. The Ford F-150 has a lot of innovative technology features that help it tow a little more confidently and safely than past iterations of the pickup. Still, when it comes down to it, engine options on the Chevrolet Silverado – along with its high-strength steel build – provide it with more practical features and a top-notch towing capacity. Overall, if you are looking for a vehicle that does its job well, comparing the Chevrolet Silverado to the Ford F-150 will show you that the Chevy Silverado comes with entry-level capability, value, and practicality, in addition to all the fun bells and whistles. You can have it all in the 2018 Chevrolet Silverado, which is available here at Wilson GM in Stillwater, OK.
After a long winter, your Chevrolet Silverado is probably looking a bit dingy. Now that spring is here, it is time to spruce it up, so here are a few cleaning hacks for your Silverado that will help it look as good as new. Clean the dust from all of those hard to reach places, like inside your vents, with a can of compressed air. Dirt likes to gather in all the tiny textured surfaces in your truck. Use a toothbrush to help you gently scrub away the lingering grime. Over time, headlights can get cloudy. Grab a tube of whitening toothpaste and rub the paste all over your headlights. Let it sit for a few minutes, rinse it off, and take in your good-as-new lights. Your grille can become caked with dead bugs. Instead of trying to scrub them away, spray them with a can of cooking spray. Then, wait a few seconds and wipe it all away with a microfiber cloth. Are your rims suffering from a bit of road rash? Get a microfiber cloth, sprinkle some bleach powder onto it, and then splash it with Lysol. Scrub away at the grimy spots on your rims to reveal its original shine. If your truck is too far gone, or if you would like to have one all your own to practice these cleaning tips on, come get a new Chevrolet Silverado at Wilson GM in Stillwater, OK. Drivers who have trouble accessing a full-size truck are getting a boost come next year. The 2019 Chevrolet Silverado will see a few additional convenience features that assist drivers climbing into the truck, such as the driver-side step-assist handle. Climbing into taller vehicles, like the Chevrolet Silverado, can be difficult for shorter drivers or those with disabilities. Raising the truck for more ground clearance (which often happens when trucks are put to work) only makes the problem worse. Fortunately, the step-assist handle will offer a quick-and-easy remedy to the problem. The driver-side step-assist handle is located on the inside of the front doors, and this small feature is designed to help drivers gain greater access to their truck and make hitting the road more convenient. Prior to the addition of the handle, drivers would have to grab onto the seat, inside of the door, or steering wheel in order to raise themselves into the vehicle. 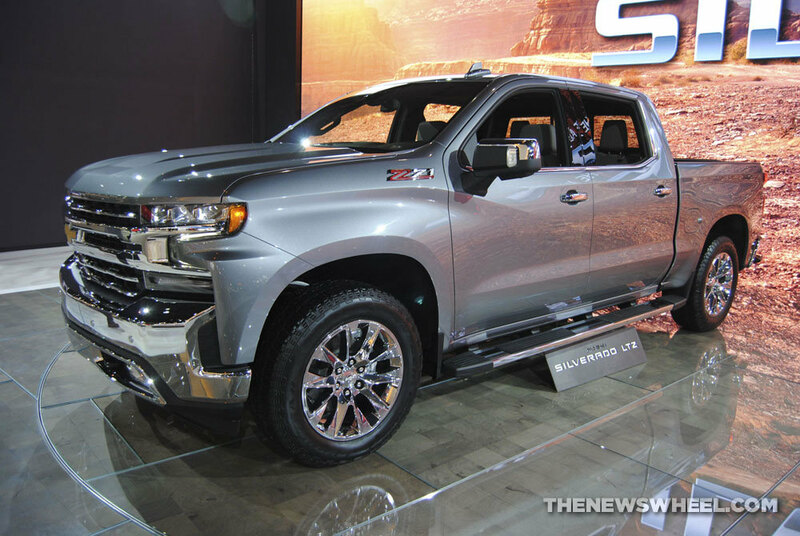 The handle was an available accessory, but it looks like Chevrolet is going the extra mile to make drivers the 2019 Chevrolet Silverado more convenient. 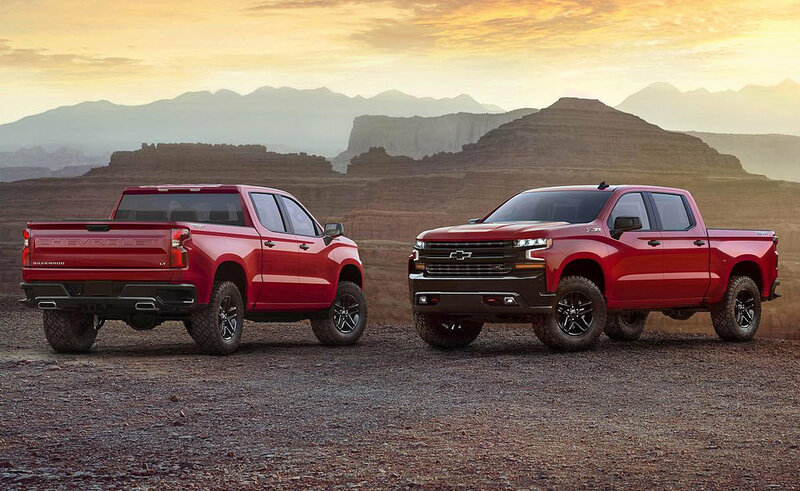 Chevrolet conducted more than 7,000 customer interviews in order to create the all-new 2019 Chevrolet Silverado. In addition to the step-assist handle, the upcoming model features more powertrain choices, technologies, models, and a tougher bed floor. We here at Wilson GM in Stillwater, OK are happy to see Chevrolet making it easier for drivers to access the bold Chevrolet Silverado pickup truck!